The Maharaja Sawai Man Singh was the first colonel and commanding officer of the battalion of Nishan Parade. The Nishan ceremony began with nishan (symbol) puja, followed by nishan parade, the traditional nishan puja and is concluded with nishan vidai. The factual anniversary of the Nishan parade falls on September 1. The spectacular ‘Nishan Parade’ that took place at Jaleb Chowk after 78 years will go down in the annals of history as the second big event for the 17th Battalion of Rajputana Rifles and the Amber Fort. Since the 17th battalion of the Rajputana Rifles is connected with the Jaipur royal family, it was a matter of great pride and honour to be a part of this ceremony. An Army battalion got back its deity after 70 long years when 17 Rajputana Rifles or the former Sawai Man Battalion conducted a “hawan” at the Shila Mata temple at the Amber Fort near here on Saturday. The serving officers as well as veterans of the infantry battalion, which is fondly referred to as “Sawai Man Guards” after the army of the former rulers of Jaipur, felt proud to be part of an ancient legacy inherited from the erstwhile kingdom. On this auspicious occasion, the colours of the former Jaipur State and of the battalion were brought in a parade by a military guard. The head priest of the historic Shila Mata temple at the fort blessed the flags carrying out the traditional rites and rituals. The atmosphere reverberated with mantras and salutation of the unit in support of the gallant past and prodigious bonding of the veterans and valiant serving soldiers. 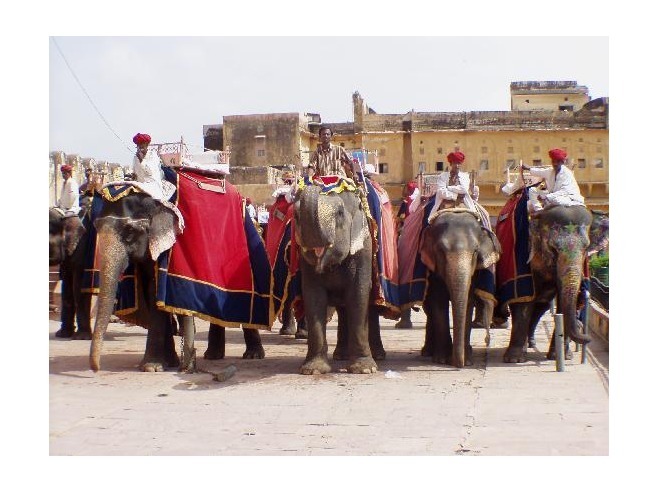 The event was a visual treat for tourists and citizens of Jaipur alike.